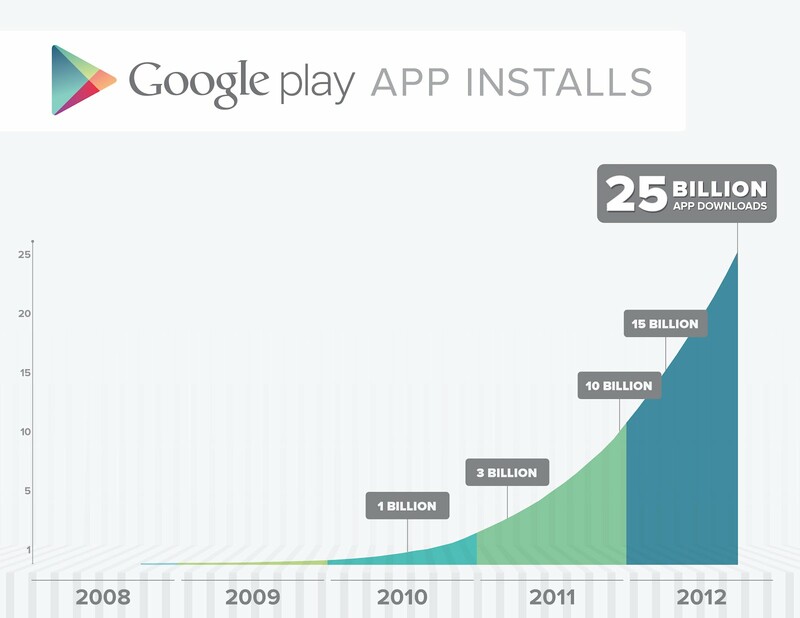 Every now and again we hear that Google has passed a major milestone in app downloads for Google Play. When that happens, we are usually treated to some sort of magnificent deal in the Play store. Last year at the 10 billion mark, they hit us with a great week-long sale to celebrate. Now that Google has passed the 25 billion mark, they plan on letting us in on even more awesome discounts over the next five days. Every day will have a set of $.25 applications for us to download “from top developers,” but Google isn’t stopping there. There will be discounts on movies, music, books, and magazines as well. If you saved the $25 credit from your Nexus 7, now would definitely be the time to use it. The discounts aren’t live just yet but we’ll keep you updated as soon as we hear more. Update: Some of the apps are already live, if you can’t wait any longer. Update 2: Here is the landing page for the promotion. No need to click each link. Cheers bignadad and teng taing for the apps!